Dever Classic Quality English leather noseband with stainless steel fittings. This noseband is also known as a Mexican grackle. Featuring leather discs behind the rings to help prevent the ring rubbing the cheek bones. It is used to remind the horse to keep its mouth closed and prevents him from crossing his jaw, but provides more expansion of the nostrils, which is preferable for horses performing work involving galloping. Should be fitted higher than a normal Grackle, above the cheek bones. 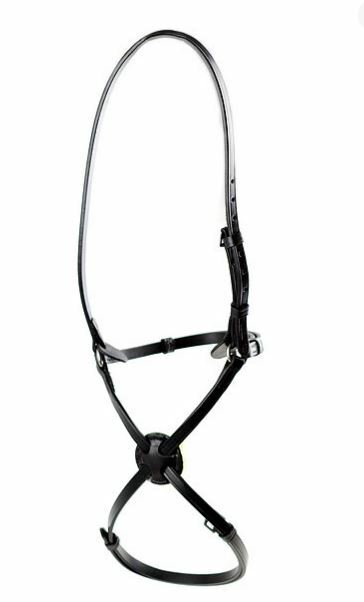 Ascot Quality Leather Padded Drop Noseband with Stainless Steel fittings. 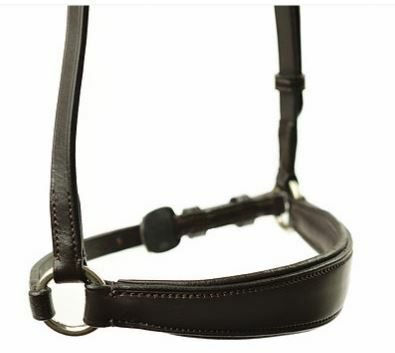 This Drop Noseband is softly padded behind the front of the noseband for extra comfort and style. The back fastening features a roller buckle to give easier fastening & also has a leather tab behind it to prevent rubbing. 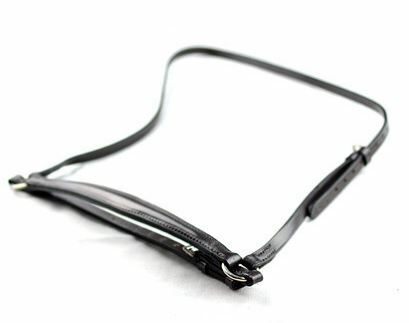 A very smart excellent value Drop noseband. Fine Quality English leather with stainless steel fittings. Shaped and raised for a distinct look. It reminds the horse to keep his mouth closed and prevents the horse from crossing his jaw. Take care not to fit it below the base of the nasel bone as this can restrict the horses breathing.